• It’s small. And LOUD! • Clear, powerful sound with 127db SPL of voice projection. • Lightweight - basic system weighs just 15 pounds. 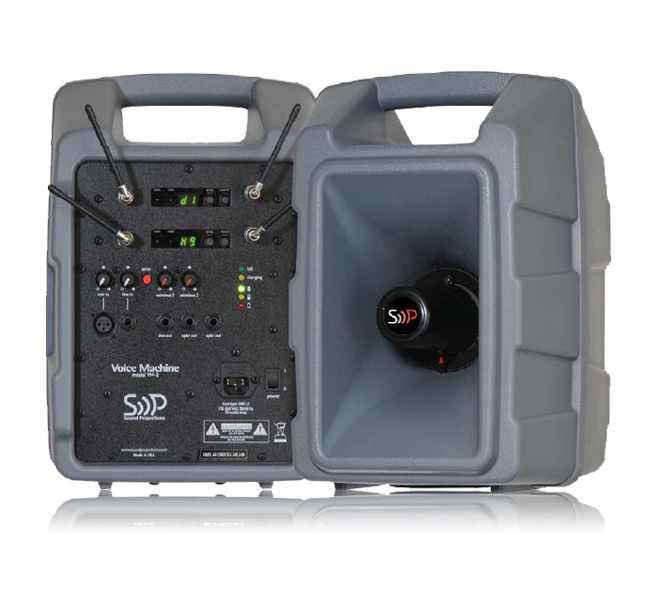 • Options include up to two UHF 123-channel wireless microphones. 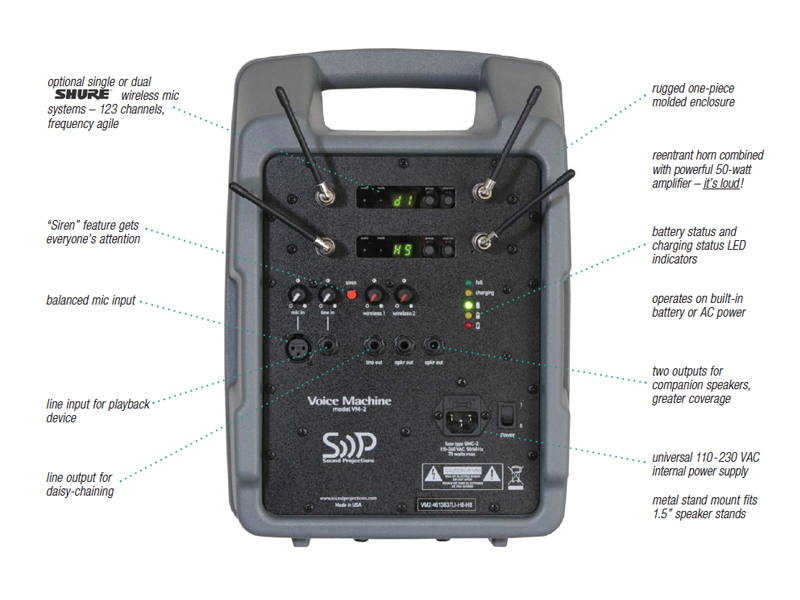 • Operates anywhere for a full day on the built-in Lithium Iron Phosphate (LFP) battery, or plug it in for continuous use. • Two 8-ohm speaker outputs drive unpowered extension speakers to fill larger areas with consistent, even coverage. • Built-in AC power supply/charger (no clumsy ‘wall wart’to lose). and 2 years on factory-installed options.